PTI postpones Intraparty Elections-Yet Again ! Not having achieved Government consent or ownership on these bills, only one out of 8 bills has been passed by the National Assembly (i.e. the Criminal Law (Amendment) Act, 2016) so far. The Government and the National Assembly are well within their rights to wholly or partially agree or not agree at all to the Senate’s proposed bills, 3 however, the initiative by the Senate must be lauded. Given the serious gaps in the justice system in the country, no Government should need reminders to overhaul the system. However, with the ticking of the time clock on the 2-year sunset clause expiry of the 21st Constitutional Amendment,4 the Government did not really have the luxury of unlimited time in this regard. In what can be termed as a landmark for Pakistan’s democracy, the Supreme Court’s judgment of August 18, 2016 on Civil Appeals No. 1428 of 2016, pertaining to tax exemptions for importers of cellular phones and textile goods, struck down Rule 16 (2) of the Rules of Business of the Federal Government, 1973, which gave the Prime Minister the discretionary power to bypass the Federal Cabinet. 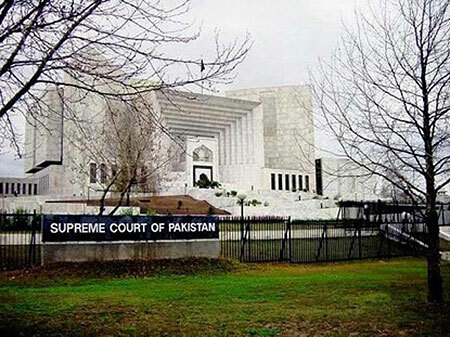 The Supreme Court judgment categorically laid down the constitutional dictate that the Federal Government is the Federal Cabinet, which consists of the Prime Minister and the Ministers. The Prime Minister is the first amongst equals in this regard, where his office can neither supplant nor substitute the Federal Cabinet. PILDAT considers the judgment to be a critical indictment of the personalized form of governance centred around the office of the Prime Minister, which has been the hallmark of various governments of different political parties in Pakistan since the passage of the 1973 constitution. The centrality and discretionary powers which have come to be associated with the office of the Prime Minister erroneously perpetuated a Prime Ministerial form of Government instead of a Parliamentary one, as originally envisaged by our Constitution. An unfortunate consequence of this has been the dormancy of various official fora for consultation and decision-making. For example, the Federal Cabinet has been detrimentally side-lined in the decision-making structure under the current Government. 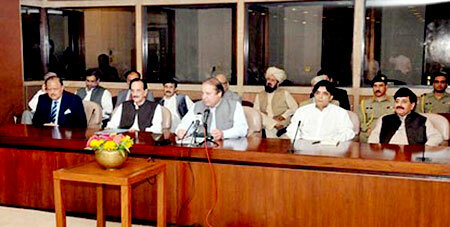 It was only able to meet a dismal 20 times; a mere 12% of the total of 167 times it should have met till now.1 This lack of collective consultation and decision-making is not only reflected in the dormancy of the Cabinet, but also amongst the Council of Common Interest (CCI) and the National Security Committee (NSC). No meaningful consultation seems to be taking place at the level of the political parties general councils or executive committees. After three years of being off-limits to Pakistanis, the video-sharing website was finally unblocked on January 19, 2016. 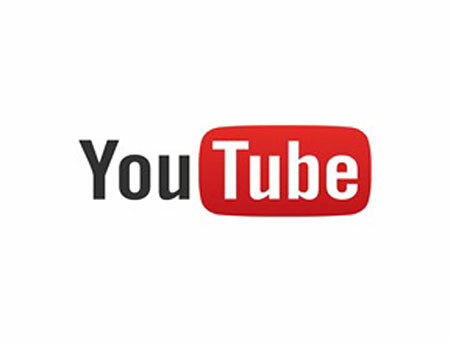 YouTube had been blocked across Pakistan on September 17, 2012 following orders by then Prime Minister Raja Pervez Ashraf. The Prime Minister had imposed a ban after YouTube refused to heed to the advice of the Government to remove what it felt was a blasphemous film titled The Innocence of the Muslims. The Government of Pakistan initially tried to restrict access to the clip inside Pakistan, but ended up having to block the entire website because Google refused to restrict access to the video on the website itself. Since assuming power in 2013, the PML-N-led Government appeared reluctant in tackling the issue proactively, opting instead to issue intermittent vague promises of an end to the ban, while near simultaneously insisting the ban would remain in place. This strategy may have worked indefinitely if it were not for a petition filed in the Lahore High Court that resulted in a court ordered meeting in May 2015 between petitioners, Bytes For All, members of the Federal Ministry of Information Technology, including the Federal Minister, Ms. Anusha Rehman, MNA, and the heads of multiple Government and corporate organizations, including the Chairman of the Pakistan Telecommunication Authority, which necessitated the Government’s tackling the issue head-on. The ban on the website was eventually lifted due to Google launching the localized version of Pakistan, which would not only see offensive content particular to the country being censored, but will also give the Government of Pakistan powers to censor content on the website. The Pakistan Senate, under the leadership of Senator Raza Rabbani, seems to be fairly serious vis-à-vis its role of oversight of the Executive. 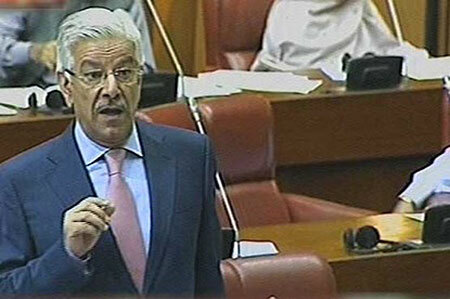 A trend, which started with the Senate amending its Rules of Business on April 15, 2015 requiring the Ministers to appear before the House and making reports on ‘all matters referred by the House and 10 recommendations made by [the Senate’s] Committee’,7 perhaps saw its culmination with the Chairman Senate banning the Federal Minister for Defence, Khawaja Asif, MNA, from attending the 243rd Session of the Senate. PILDAT believes that it is the essence 0f any functioning parliamentary democracy that the business of the Parliament takes precedence over any other business of the Government. However, apparently during the current tenure of the PML-N-led Government, the Parliament seems to have been side-lined with the Government according only secondary importance upon its collective responsibility to the Parliament. Hopefully the Chairman Senate’s ruling in this regard, and the efforts of the current Pakistan Senate to uphold its prestige as an institution will contribute towards curbing this trend. 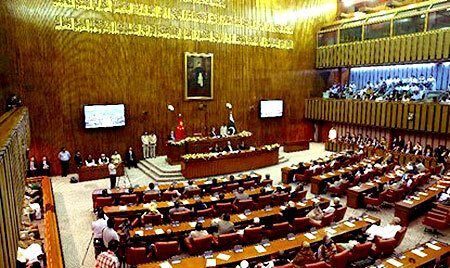 In yet another welcome development emanating from the Pakistan Senate, the House issued its performance report for the period of March 12, 2015-March 12, 2016, which is appropriately titled Report to the People of Pakistan. 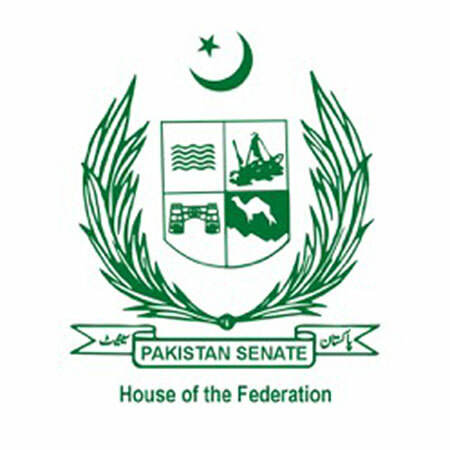 Apart from the performance report, the Pakistan Senate has also started uploading a Synopsis/Journal for every session, starting with the 242nd Session, which comprehensively covers all information regarding the business undertaken.9 This is also accompanied by the Pakistan Senate also uploading the minutes of the various Committee meetings on its website. Such initiatives will go a long way in developing a robust bridge between the populace of the country and its legislatures while helping the work of various research organizations and the media. There is a need to institutionalize these practices by making them a part of the Rules of Procedure so that these may not be a one-off development. It is also hoped that the National Assembly also replicates these commendable initiatives. Indeed, the primary responsibility in this regard lies with the National Assembly, since it comprises directly elected representatives of the people. The National Assembly did take a commendable initiative of releasing its performance report for the First Parliamentary Year, but seems to have missed out on this subsequently.